A looming storm can leave your world spinning out of control. Even if you and your property escape the storm virtually unscathed, you may still end up losing power. Fortunately, portable generators can put the power right back in your hands. Storms are unpredictable, with those such as late 2017’s Hurricane Harvey in Texas leaving many without power. That’s why the purchase of portable generators is on the rise. If you have a portable generator or are looking to buy one, maintaining them safely is of the utmost importance. We’ve compiled a guide on how to safely maintain your generator. One of the biggest threats you face when using a portable generator is carbon monoxide. But that probably comes as no surprise if you’ve watched news reports about lives lost after major storms due to inappropriate generator use. Research shows that 430 individuals pass away each year in the United States due to accidental carbon monoxide poisoning. In addition, operating a portable generator incorrectly can cause you to lose your life in as few as five minutes if the carbon monoxide concentration is great enough. To avoid becoming a statistic, be sure to both start your generator and run it outside of your home. Sure, you’re powering devices in your home with it, but that doesn’t mean the machine should be inside the home, too. In addition, as a general rule of thumb, avoid running your generator in your garage, in a crawl space or beneath your carport. This will make it possible for dangerous fumes to penetrate your house, and even an open window or door cannot provide adequate fresh air for you. You’ll also want to keep your machine about 25 feet from your home. Also, consider having carbon monoxide detectors that are battery powered in the section of your house that is closest to your generator’s location. When it comes to storing portable generators, these machines need to go in clean, dry areas that are easy to access. After all, when your home is pitch black due to a sudden power outage, you don’t want the path to your generator to feel like an obstacle course. Then, when you’re ready to use it, you’ll need to connect it to a ground wire so as to ensure proper grounding. Also, double-check to ensure that all of your connections are tight. If you don’t have a ground wire, your generator system might use your body as the ground rod instead. Translation: You may be electrocuted. Also, if you need to use an extension cord, use a grounded kind and one that is rated for use with a generator. Note that a coiled cord may become very hot, so keep your cord uncoiled and in an open location as well. As a general rule of thumb, you should avoid running your generator in the snow or rain, as these machines produce a voltage that is powerful. And steer clear of combustible materials, too. If you have no choice but to set up your generator in a damp or wet location, it’s in your best interest to use a GFCI or ground fault circuit interrupter. This device shuts off the electricity when a current is pinpointed outside of the normal paths. You can easily buy a GFCI or an extension cord with GFCI protection built in at a hardware store. One more thing: Don’t forget to connect the machine to your house’s electrical panel using a transfer switch. A licensed electrician can install this switch for you. When it comes to gassing up your generator, there are a few important things you need to know. First, when possible, try to stick with fresh gasoline. (Definitely avoid gas that looks dark or dirty.) And if your generator may sit for a while without being run, using a gas stabilizer. It’ll help to protect the gasoline for around six months. Better yet, try to siphon the gas out if you can. Also, don’t put gasoline into your machine while it’s running — or even while it’s hot. Otherwise, you risk an explosion or fire. Instead, switch off the machine, and allow it to cool for about 15 minutes. Keep in mind that after you’ve fueled up, you can’t just let the generator operate non-stop. That’s because having a generator is kind of like having an employee if you own a business: Try to let it work for maybe three to four hours, and then give it a 15-minute break. If you take care of it, it’ll work hard for you and take care of you in return. 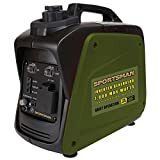 And another important thing: Note that a portable generator cannot run your entire house, but you can use it to power a couple of your appliances. So, the storm is over now. And you’ve siphoned out the generator’s gasoline or added fuel stabilizer to it. But your work with the generator is far from over. In some ways, it’s only just begun. In addition, be sure to change the oil, and test the machine before the next storm strikes. In fact, it’s a good idea to start up the machine every month and allow it several minutes to run. Above all else, be sure to read your generator owner’s manual and follow the instructions there to keep your household safe and achieve tip-top performance. 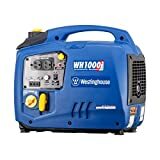 We offer a wide range of portable generators designed to meet your unique needs. You can choose from among several leading brands, ranging from Westinghouse to Poweradd and Champion. Get in touch with us to find out more about how our generators can help you to stay ahead of your next storm and feel more powerful when it unexpectedly hits. I really like your analogy of a generator is like an employee, you should let it run for 3-4 hours, and then give it a 15 minute break. 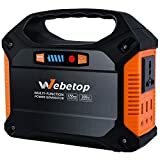 My wife and I are very big into emergency preparedness, and we both would love to still have power to our house in case of an electrical emergency. If we invest in a generator, I will definitely remember your advice to give the generator a break every once in a while.